To escape the stress of the normal routine job one must go on a vacation to destress yourself and recharge. In short A VACATION SHOULD BE RELAXING for instance like going out of town. Therefore one must follow certain tips to keep your vacation not only memorable, but also importantly stress free. The reality is stress free family vacations don’t just happen. It takes a lot of planning and some work to take the stress out of vacation. Family vacation planning is more tiresome than packing a suitcase and watering the plants. First thing before you decide and chalk down the plans with your travel agent or make reservations, talk to your family first, confirm schedules, who will be going, what type of family vacation should it be, whether it should be adventure, beach, theme park, ski and whatever,when is the right time to travel, which is the best place and also keeping in mind your budget. You need to work 9 months in advance for a family vacation like booking your tickets, making hotel reservation, the cruise liners makes you reserve up to two years in advance. This is especially when family would like to travel during busy travel week like December holidays or Spring break. Leave work worries at the office.don't take the tension of your job while on vacation. They think by working on vacation they will relieve their stress when they return back. But the truth is vacation time and relaxation makes workers far more productive when they return to their jobs. So leave the stress behind and enjoy your family time. Ease your vacation stress with the purchase of travel insurance .The cost is usually 5 to 7 percent of the total cost of your vacation. It is a fair price to pay for your peace of mind. Parent should beflexible with your children while on holiday. Give them to eat what they want. Don’tsay no you can’t eat this or that. Be negotiable and don’t stress over little things. If something does not go exactly as planned just let it go. Don’t brood over it and let one small thing ruin the entire vacation. This creates added stress. 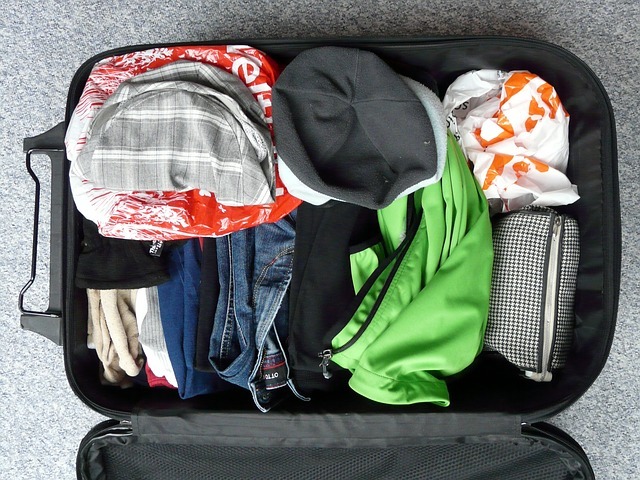 Always pack light don’t overload your suitcase. There are plenty of resources wherever you are travelling to pick up necessities that you may have forgotten. Sometimes vacations are stressful just because you have to make a ton of decisions and coordinate with other people. There are lots of travels planning apps that can simplify your plans. You can plan a trip itinerary using your own Google map. Always opt for a 10 day vacation .You have enough time to travel where you’re going, maybe multiple stops and since you are away for a long time you’re forced to off-load your duties at work. Ultimately when it comes to keeping stress levels down with a family vacations these tips sounds quite sensible. So take a deep breath and plan a stress free family vacation. In the end you’ll be glad that you did.